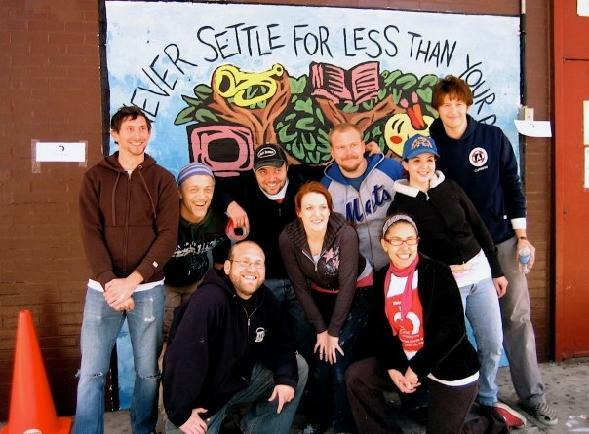 WMC volunteered at the NY Cares Day 2008 by painting murals on an elementary school in Brooklyn! Working Man's Clothes is always looking for ways to plug-in to our community. by reaching out with our time to help where they need it most! Upcoming opportunities will always be listed on this page... stay tuned for more!